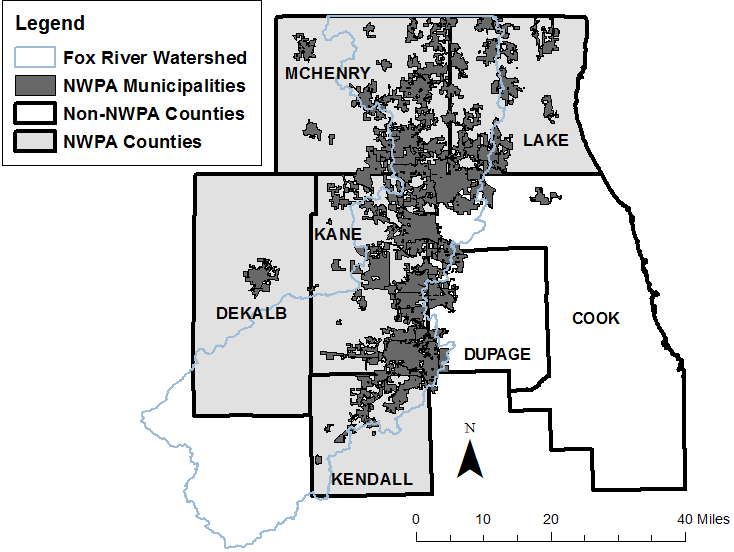 The NWPA encompasses roughly 80 communities in five counties. Build the organizational capacity to achieve the mission. Provide education and outreach to raise awareness of the value of water as a finite asset. Develop sustainable water use policies and practices that are widely adopted and protective of water supplies. “The importance of the strategic plan is that it confirms the direction in which the NWPA wants to head in the future,” says Peter Wallers, president of Engineering Enterprises, Inc. and Technical Assistance Committee Chairman. That Committee—comprised of local water professionals and utility managers—can work closely with the Executive Committee—comprised of elected officials—to pursue important initiatives in a coordinated way. He further emphasizes the importance of the NWPA’s work, saying that “water is going to be a critical element going forward and we as a region need to do a better job of understanding supply and demand to remain economically strong.” As CMAP’s Water 2050 regional water supply and demand plan describes in great detail, regional water demand is expected to increase in the coming decades, perhaps even dramatically based upon some population forecasts. Regional planning is imperative now to ensure that northeastern Illinois’ aquifers and rivers can sustain the region’s population and economic growth well into the future. The NWPA Strategic Plan details 11 objectives and evaluation measures along with a number of strategies to achieve each objective. Of course the NWPA will not be able to accomplish these goals without collaborating with partners in the region, so key partners crucial to the success of the plan were identified. They include the U.S. Geological Survey, Illinois State Water Survey, Metropolitan Mayors Caucus, Chicago Metropolitan Agency for Planning and MPC. Top priorities for 2014 include increased outreach to elected officials through the five county boards and councils of government about the state of the region’s water supply and the importance of water conservation, the roll-out of a new data reporting tool for members to better track regional water supply patterns and the completion of studies in collaboration with the state water survey to enhance our understanding of regional water availability through 2050. MPC has been providing research and policy assistance to NWPA for the last few years and will continue to do so by building organizational capacity and taking the lead on outreach to both elected officials and the public. I have the pleasure of working with NWPA during my year-long AmeriCorps term of service at MPC. Since I started in July, I have been working on creating new communications materials to pave the way for improved member engagement and widespread adoption of the NWPA regional lawn watering ordinance. Most recently, I worked with the Executive and Technical Assistance Committees to create a monthly e-newsletter to expand NWPA’s audience. The first edition went out in November—subscribe here! Achieving the goals and objectives laid out within the plan won’t be easy, but it seems like the group has the determination to bring about some great changes in the region. Each committee has a core group of committed individuals who attend nearly every monthly or bi-monthly meeting. MPC is excited to see what NWPA can achieve in 2014 with the coordination provided by the Strategic Plan and resolve of its leadership bodies. The Columbia Water Center, a water management think-tank at Columbia University in New York, recently released a white paper that analyzed factors influencing water utility operating expenses, debt, rate-setting and financial stability. One of the key findings of the study was that small utilities, those producing less than 20 million gallons of water per day, have the highest average operating expenses and are most likely to rely upon other sources of funding like property taxes and connection fees to cover daily expenses. This finding is cause for concern because, in many cases, these sources of funding are not enough to finance looming infrastructure repair projects. According to the study, between 2002 and 2010, water rates in the Chicago region did not keep pace with increases in long-term debt. The Metropolitan Planning Council (MPC) recognizes the significance of the water supply challenges we face as a region and is focused on maximizing existing infrastructure and exploring creative financing options for local communities. MPC is working with groups like the Northwest Water Planning Alliance and DuPage Water Commission to provide elected officials and public works employees from small utilities with tools to simultaneously implement water conservation measures and raise revenue. As I covered in a recent blog post, one way for small utilities in our region to tackle this financing problem is to implement full-cost pricing. Full-cost pricing utilizes a two-part rate structure with a fixed charge and a variable charge. This pricing scheme allows utilities to have their fixed costs covered even if demand decreases due to higher prices. In addition to implementing full-cost pricing, there are other tools available to finance water infrastructure projects in Illinois like performance contracting or utilizing loans from the Drinking Water State Revolving Fund. The Clean Water Initiative has recently expanded the pool of money available through this state revolving loan fund from $3 million annually to $1 billion. Applications are now accepted on a rolling basis, and the system is weighted to give communities with immediate public health concerns and financial hardship priority. Another option is for smaller utilities to join forces. Northeastern Illinois has a handful of interjurisdictional water management collaboratives, such as the Central Lake County Joint Action Water Agency, Northwest Water Commission, and the DuPage Water Commission. Currently, most communities are on their own, even though the water resources they rely on often don’t match up with municipal boundaries. In 2014 MPC will research our region’s experience with these collaboratives to determine whether they have proven effective mechanisms for helping smaller utilities manage their water and financial resources more effectively. As the Columbia paper highlights, the cost of consuming water is likely to rise for everyone as water becomes scarcer and infrastructure begins to decay. MPC has been helping local communities manage their water supplies for nearly a decade and will continue to work with communities to implement effective policies and practices as the era of artificially inexpensive drinking water comes to a close. 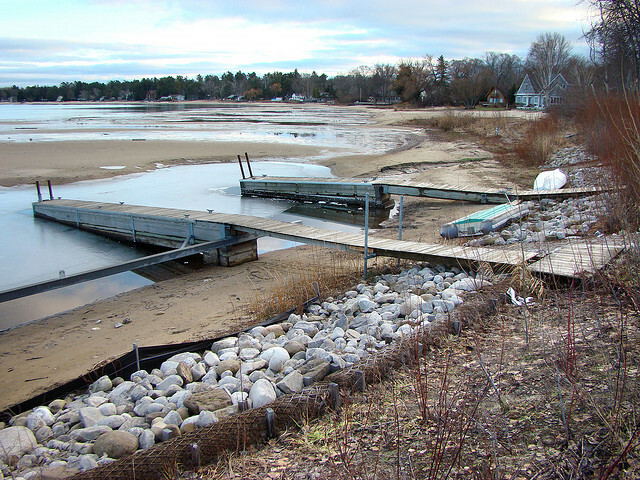 The Village of Westmont, Ill., like many communities that use Lake Michigan as a source of drinking water, is not located on the lake. Westmont’s water is purchased by and delivered through the DuPage Water Commission. The cost of treatment and delivery is passed along to consumers in the form of a water bill. Unlike similar communities, however, Westmont employs full-cost pricing for its water resources—in other words, whereas other places supply water at an artificially low cost, Westmont both recoups greater revenue with which to meet the costs of safe, sustainable water delivery and encourages its residents to use water efficiently at the same time. The words “price” and “cost” are often used interchangeably, but there is a significant difference between the two. In the world of water resources, price is what we pay as consumers and can be found on a water bill. The cost is equal to the sum of all resources and dollars needed to produce a unit of potable water. The price paid by the consumer should be greater than or equal to the cost, but residents of the Great Lakes region have traditionally enjoyed low water prices for high consumption rates. In Illinois the consequences of underpricing and over-consumption of water are becoming apparent. According to the U.S. Environmental Protection Agency, addressing aging water infrastructure will have cost the state of Illinois an estimated $21.5 billion by 2030. Federal government loan and grant subsidies that utilities have come to rely on to keep daily operations going and prices artificially low are drying up. Consequently, agencies aren’t recovering enough costs to be financially stable or to complete infrastructure improvements in a timely manner. In the current age of budget cuts and decreasing water resources, how quickly we can transform the way we value water in the region will influence the stability of our water supply going forward. The Metropolitan Planning Council (MPC) has been working for the past decade to promote sound water management policies, including the adoption of full-cost water pricing. Water treatment and infrastructure costs have to be covered by someone at some point, and in the absence of the kind of federal financial support seen in the last century, it makes sense to find a way to cover these costs directly—by the consumer through the water utility bill. While water customers often do not know the price or volume of water they consume, research suggests that they are concerned with the total dollar amount each billing cycle and adapt their behavior accordingly. Rising prices cause consumers to decrease their consumption. This phenomenon is called “signaling.” Full-cost pricing, or conservation pricing, charges consumers at a rate equal to the real cost of treatment and delivery—an economic tool that encourages efficient use of resources and balances long-term supply and demand of drinking water as consumers adjust their water usage to save money. Full-cost pricing, endorsed by the American Water Works Association and Chicago Metropolitan Agency for Planning (CMAP) among others, can be achieved by implementing a two-part rate structure with a fixed charge and a variable charge (see Figure 1). The fixed charge component covers fixed costs (e.g., employee salaries and debt payments) and provides revenue stability because this portion does not vary by month or by volume of water consumed. The variable charge component covers costs that vary by the amount of water consumed (e.g., treatment plant electricity and chemicals). 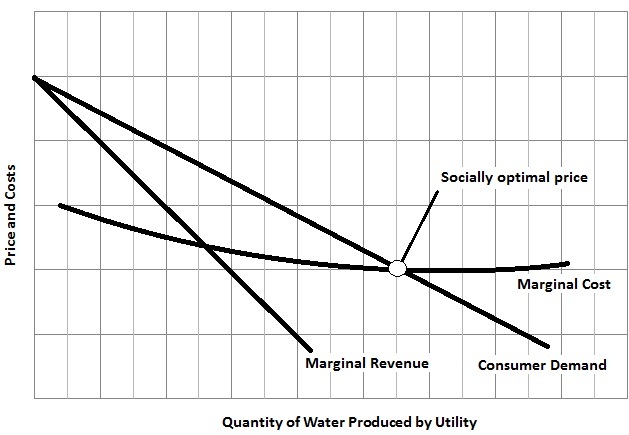 The appropriate variable charge can be determined most accurately through marginal-cost pricing (see Figure 2), which determines the “socially optimal” price—customers consume only the units of water for which they are willing to pay. Detailed information about the process of rate setting for a utility can be found in CMAP’s Full-Cost Water Pricing Guidebook. Most municipalities have not moved to true marginal-cost pricing due to the difficulty in determining the marginal cost of water in the long run. However, the Village of Westmont is one of the first communities in the region to raise water rates to a level that more accurately reflects the true cost of water consumption. Mike Ramsey, public works supervisor for Westmont, says that the department decided to raise the price of water in order to generate enough revenue to cover necessary infrastructure improvement costs for the next two decades. The village needs $28 million for projects like the replacement of water mains and water meters and the construction of an additional storage tank. In 2011, Ramsey completed an analysis that included a rate comparison to similar municipalities and calculations to determine the rate increase needed to cover costs. He found that a price increase of $1.60 per thousand gallons would be sufficient. The Village Board agreed to the rate increase without resistance because they found it made financial sense to generate a reliable revenue stream in light of new regulations like the “no-lead” regulation. In addition to seeing revenue increases during the past two years, Ramsey says he is confident that the rate increase has been a contributing factor in annual water usage reductions that he has observed as customers use less water to save money. While the transition to full-cost pricing will not be easy for many communities, it is becoming increasingly important as our infrastructure ages to re-evaluate the price of water versus the cost. 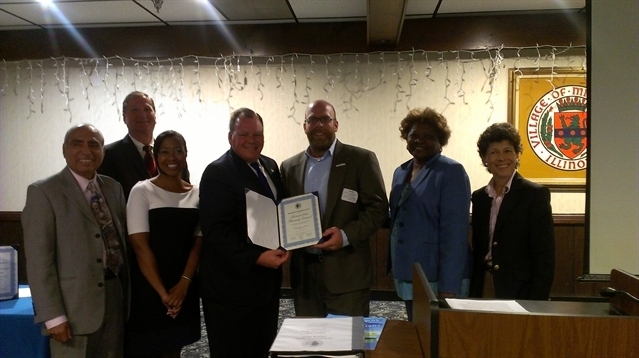 MPC is dedicated to finding sensible water supply management solutions in the region, and recently partnered with the DuPage Water Commission, CMAP and MWH Global to present a series of workshops on management techniques that promote water conservation. Designed for utilities workers, these workshops covered how to balance water conservation with bringing in enough revenue to cover operational and capital costs. Along with these efforts, MPC will continue its water supply management work in the region by working with the Northwest Water Planning Alliance, a group of roughly 80 communities that have committed to lessening their impact on water resources. MPC will also continue evaluating ways in which the State Revolving Loan Fund can more efficiently allocate resources to a broader range of Illinois communities. After five years of careful analysis and advocacy, MPC will finish its work modernizing the Ill. Plumbing Code, thereby stimulating new marketplace activity in water efficient products and non-potable water re-use. These efforts will help ensure that our region’s plentiful freshwater resources remain plentiful for centuries to come. More than 80 community leaders, elected officials, public administrators and land managers gathered on Thursday, Sept. 26, 2013, at the Metropolitan Water Reclamation District of Greater Chicago (MWRD) Sustainability Summit in Midlothian, Ill. Experts presented on a range of ways to bridge stormwater management, resource recovery and community development. 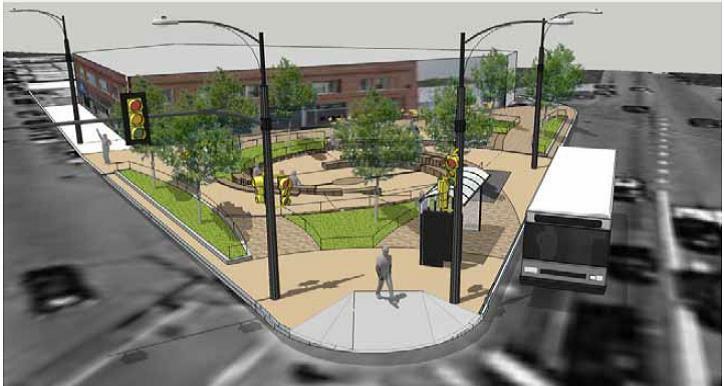 MPC’s work on the Milwaukee Avenue Green Development Corridor has informed a lot of our work. Metropolitan Planning Council (MPC) was proud to receive one of MWRD’s Sustainable Landscaping Awards for its work with the Milwaukee Avenue Green Development Corridor. This project was born out of a $200,000 Illinois Green Infrastructure Grant from the Ill. Environmental Protection Agency; MPC led this project, and the City of Chicago, Ald. Rey Colón (35th Ward) and the Chicago Community Loan Fund provided support. The funds enabled residents and business owners along Milwaukee Avenue in Chicago’s Logan Square neighborhood to secure financing for green, water-saving projects. Examples of these projects include green roofs, permeable pavers, rain barrels and rain gardens. In highly urbanized areas where the majority of stormwater falls on private property, we need effective strategies for spurring investment in publicly beneficial green and gray infrastructure on private property. As I explained in my closing presentation at the Summit, with four projects fully completed, several more being built and a half dozen more pending final approval, the Milwaukee Avenue program is providing tangible results, but also providing informative lessons on how to structure comparable programs in the future. One of MPC’s major stormwater projects in 2014 will be collaborative research with the University of Chicago into effective design of these programs, answering key questions—what has worked elsewhere, what has not, and how do we best establish programs tailored to solve specific stormwater problems? David St. Pierre, Executive Director of MWRD, shared MWRD’s quest for zero waste, energy neutrality, phosphorus recovery and denitrification. Bob Newport and Jon Grosshans of U.S. EPA Region V spoke about the benefits of native landscaping, giving prominent examples such as the Chicago Botanic Garden and the Inverness Park District. This presentation also included information about the uses of green infrastructure in stormwater management. Openlands’ Stacy Meyers promoted community and schoolyard gardens as a community-based solution to stormwater management. Meyers highlighted the added social and cultural benefits of community gardening. Dr. Albert Cox and Dr. Kuldip Kumar of MWRD spoke about the practical benefits of biosolids as a compost additive. In order to provide proof of the success of biosolids, MWRD gave away petunias planted in a biosolid compost! MWRD is looking into biosolids as a way to recover what was previously considered waste. Debbie Meyers-Martin, Marketing Specialist of the Ill. State Treasurer’s Office, shared about financing options. Governor Pat Quinn’s Sustainability Director, Eric Heineman, highlighted the work that the governor’s office is doing to promote conservation and recycling. Amy Walkenbach from the Ill. Environmental Protecion Agency Bureau of Water promoted the State Revolving Funds Program and the Illinois Green Infrastructure Grant Program. The Village of Midlothian and South Suburban College are both recent recipients of IGIG funds. Deborah Stone, Cook County’s Chief Sustainability Officer, discussed the importance of working to make better use of our waste. She explained that demolition materials are routinely discarded, despite their reuse potential. Director of the Illinois Department of Natural Resources’ Coastal Management Program, Diane Tecic, spoke about many programs and initiatives that this new program offers that can support stormwater management and habitat restoration. How can water utilities save water and save money? This is the question of the hour in water conservation. Less water used means less water sold and often means less revenue collected; less revenue collected can mean less money for the operation and maintenance of the water system. At the last workshop of four in the DuPage Water Commission water management workshop series, we discussed some financing and rate structure options available to utilities to reduce the impact water conservation has on their budgets. The DuPage Water Commission, Metropolitan Planning Council (MPC), Chicago Metropolitan Agency for Planning and MWH Global collaborated to host this workshop series, geared toward public works employees, to get ideas and advice on programs to implement in their municipalities. These workshops have been an opportunity for MPC to get involved in DuPage County and help public works employees in the region start thinking about water conservation. The first workshop focused on utility planning and asset management in the context of water management operations, the second focused on regulations and ordinances to aid water conservation in the DuPage Water Commission region and the third workshop focused on practical indoor and outdoor water conservation methods. Margaret Schneemann from the Illinois-Indiana Sea Grant and Chicago Metropolitan Agency for Planning addressed this issue head on. She repeated a common theme from these workshops; full-cost pricing needs to be implemented in every community. Full-cost pricing, which has been endorsed by the American Water Works Association, means that the utility charges a fixed fee to cover long-run costs and a variable fee that is based on how much the customer uses to pay for short-run costs. This allows the utility to have their fixed costs covered, even if the customer is carrying out conservation measures. Conservation can actually save the utility money. Decreased demand means less water to pump, which translates into lower operating costs and capital costs. Margaret says that the key is to set your rates to reflect the decreasing demand so that the utility does not lose money. This means utilities need to accurately forecast demand, even if it is predicted to decrease, and to price accordingly with full-cost pricing. This rate structure can be unpopular with people who use little water, like the elderly. The City of Aurora, for example, offers a senior exemption of the base rate based on their property taxes to solve this concern. A big problem for communities in the Chicago region is that they have aging systems that need replacing. The upgrades they need are costly and most utilities cannot cover them out of their operating budgets, even if they use full-cost pricing. Gerry Bakker and Andy Bielanski from the U.S. Environmental Protection Agency (EPA), District 5 office discussed some of the more conventional funding sources for capital projects. One option is to apply for a loan from the Drinking Water State Revolving Fund (SRF). Each state receives a grant through this program and must match 20 percent of the grant. The fund is then loaned out to municipalities for water system upgrades and consolidation through the state Environmental Protection Agency. Illinois’s allocation is about $31.8 million but through the governor’s Clean Water Initiative, the state of Illinois is planning to bond for an additional $1 billion to add to the fund. Ted Hammer from KPMG presented some non-traditional options for funding. He suggested looking to the private sector for funding sources through mechanisms like operation and maintenance contracts or a DBFO contracts. An operation and maintenance contract can be anywhere from 5 to 20 years and would consist of a private entity running the utility or an aspect of the system for that period. A DBFO contract, which stands for design, build, finance and operate, is a public-private partnership where these responsibilities are transferred to the private firm but ownership remains with the public utility. Ben Disney from Ameresco and McGee Young from Marquette University presented two more tools for municipalities to save water and money. Ben talked about performance contracting, which is the use of savings from making a utilities’ operations more efficient as capital to make needed upgrades, financed over a period of time. Firms like Ameresco help utilities with performance contracting by guaranteeing they will save a certain amount of money and then use that money to finance improvements in a way that covers the costs of the improvements. McGee Young is the founder of H2O Score, which is a tool that allows water users to see how their water use compares with their neighbors’, giving them information to make personal water conservation choices. Utilities can work with H2O Score to provide this service to their customers. 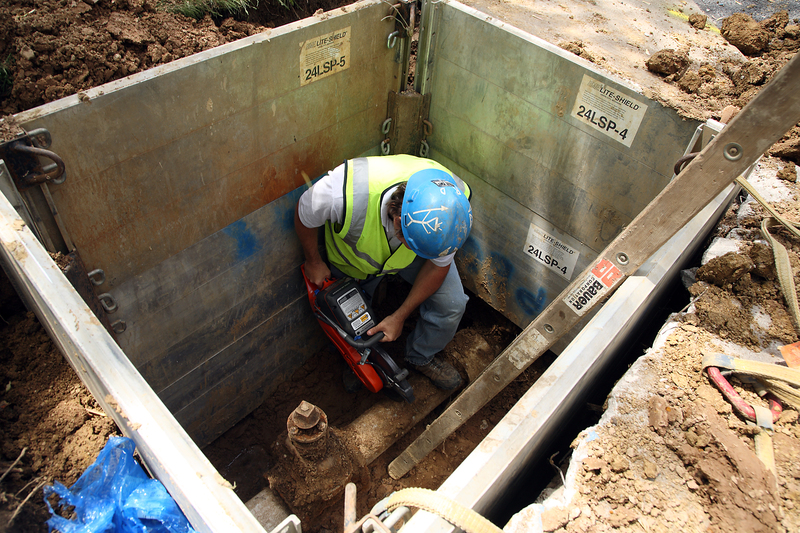 These tools can help utilities conserve water while covering their maintenance and operation costs. The managers in attendance were receptive to pursuing these programs and ideas in the future. Towns like Aurora and Downers Grove have already moved closer to full-cost pricing. Both towns have a fixed rate and a variable rate and their projections of future demand accurately reflect that demand is decreasing. The town of Glen Ellyn has applied for the state revolving fund loan for the past few years. They said they had a very positive experience. While it took a few years, each year they applied they moved up in the rankings and received helpful feedback on how to improve. These loans are based on need, so as time went on and code became more stringent, they moved up in priority level. These successful uses of the tools and strategies from the workshop proved that they can work in reality and helped encourage the other utilities in attendance to try them out. Consistent, financially sustainable investments in infrastructure lead to both improved water management and savings in both water and money. The DuPage Water Commission is at the forefront of the water utility community by providing these workshops to their customers. Water conservation in the Midwest is lagging behind the rest of the country because we have a false sense of security that Lake Michigan will always be an ample source of freshwater. 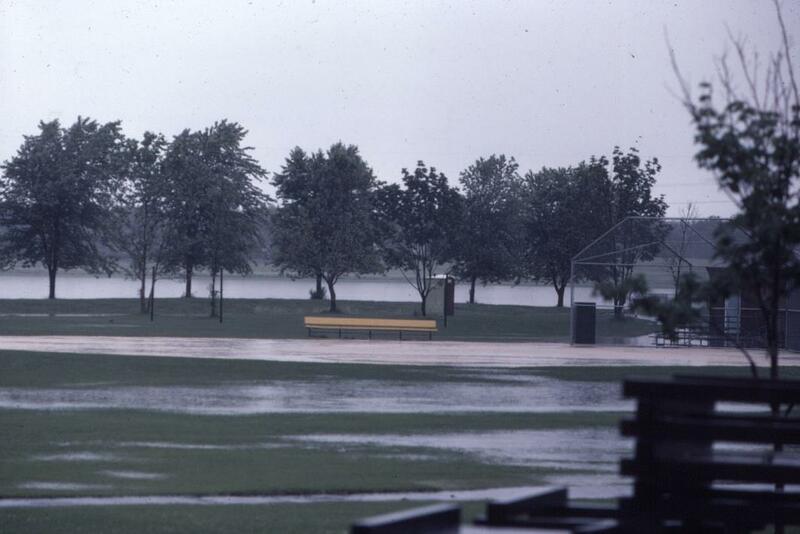 However, the Great Lakes have fallen approximately five feet in the last decade. By providing information on conservation in a financially sustainable way, the DuPage Water Commission is furthering their commitment to conserve as part of the Great Lakes Compact. April’s big storm served as an inconvenient but potent reminder that Chicagoland flood risk is a serious concern. Issues like climate change, development and aging infrastructure regularly underscore our assumptions that in the future, big storms like April’s will only occur more frequently. Coming from London, these worries are familiar to me. Although my hometown has had fewer wet basements, there are similar questions being raised about current levels of combined sewage overflow and future resilience of stormwater systems. A relatively new UK law, requiring driveways to be made of permeable materials, is perhaps an indicator of how seriously the issue is being taken. 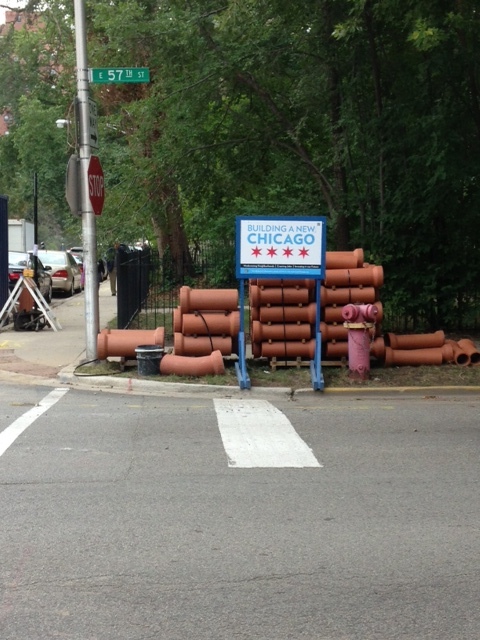 In Chicago, opportunities are increasingly being seen for green infrastructure to tackle the challenge of stormwater. This is something MPC has been a forerunner in trying to encourage, both through education and practical projects. Communities are beginning to take up these methods, accepting that they too hold some responsibility for keeping their homes dry. As well as being tools for stormwater resilience, green infrastructure projects have helped communities achieve wider goals, such as creating green community spaces, providing natural habitat, encouraging environmental learning or engaging in issues beyond stormwater management. There are many great examples of such projects in the Chicago region and here is a look at a few in the Village of Glenview, the Chicago neighborhood of Logan Square, the City of Blue Island and the Village of Park Forest and the Chicago neighborhood of Fulton River District. 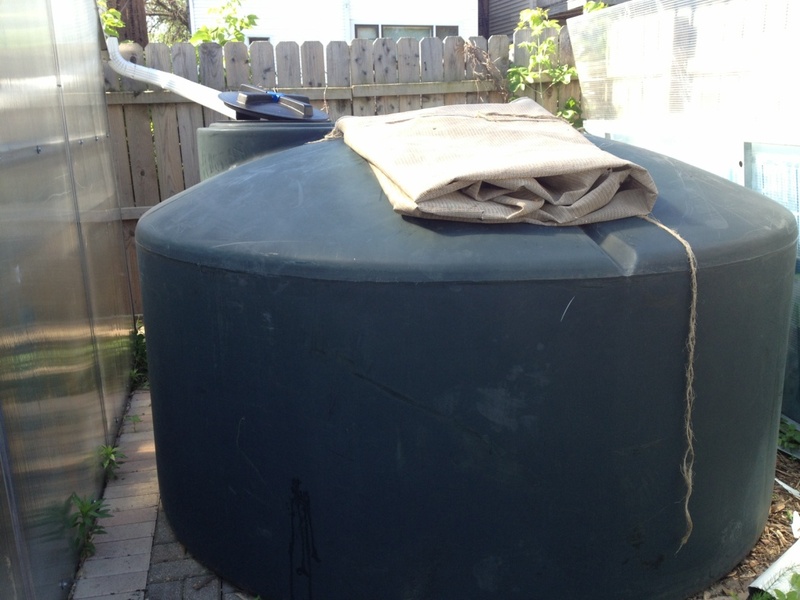 Following large flooding problems in 2008, the Glenview Village Board set up the Flood Risk Reduction Program in 2010, adding two new subsidy opportunities to the existing rain garden and rain barrel programs already on offer. The first new subsidy covers half the cost of an overhead sanitary sewer conversion , tackling the problem of sewers backing up by pumping sewage to a higher level exit point form the home. With the second subsidy, the village will cover half the cost of drainage inspection, conducted by a local engineering consultancy, helping homeowners understand where improvements could be made. This program encourages homeowners to engage in the issue, where otherwise they may not bother or consider it their responsibility. By providing an upfront review of drainage on a property, the homeowner is able to make informed cost-effective decisions to address flooding. This enables an efficient response to the problem for maximum return on investment, one that will hopefully avoid a repeat of 2008’s record flooding. In Logan Square, the Metropolitan Planning Council (MPC) manages the Milwaukee Avenue Green Development Corridor, a project funded by the Illinois Environmental Protection Agency’s Green Infrastructure Grant program that asked residents and businesses to submit projects that reduce flooding and encourage a green neighborhood. As Logan Square is a fairly dense urban setting dominated by impervious surfaces, it is in a practical position to take advantage of green infrastructure concentrated in one neighborhood to reduce surface runoff. Blue Island, Blue Water is a multi-phase project which implements green infrastructure on both public and private sites in a flood-prone neighborhood in Blue Island. Chosen as a Millennium Reserve model project, the first phase of this project included the installation of native plant demonstration gardens at key public sites and distribution of over 100 rain barrels to local homes and businesses, in partnership with organizations including the City of Chicago, Chicago Park District and MPC. The second phase will involve green infrastructure in the public right-of-way, such as green alleys and stormwater bumpouts (vegetated curb extensions that capture runoff). Better together, installing green infrastructure and making friends. The projects provide green spaces for the community and habitats for wildlife. The community is engaged in their own stormwater management , with resourcefulness and DIY skills encouraged. All ages have gotten involved, and the work has led to more cooperation between city agencies, bringing the community together to create something positive. 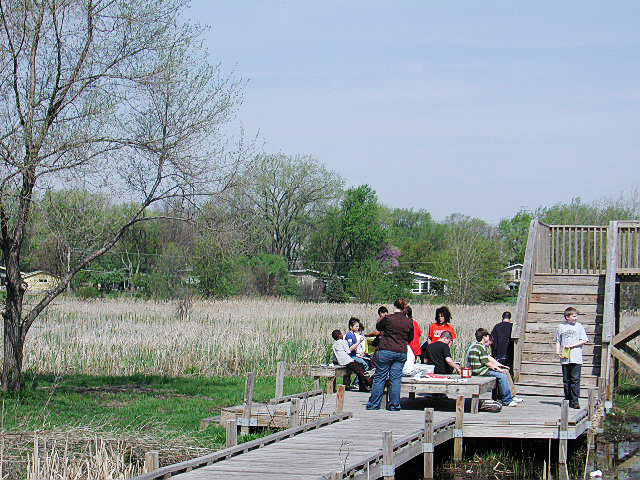 The area is now a location for recreation with boardwalks installed for walking and jogging. This also makes the area accessible for use as an outdoor classroom, useful for studying the biodiversity the wetland encourages. In a more abstract sense this project acts as a vehicle to introduce other environmental initiatives to the community, steering people towards other initiatives such as rain gardens, rain barrels, green roofs and alternative energy; fosters an ethic of environmental stewardship among residents; and creates a stronger sense of place in the neighborhood. and runoff around the greenhouse. In a wider sense the garden is a demonstration of green infrastructure, potentially encouraging others to install similar systems in their own vegetable gardens. 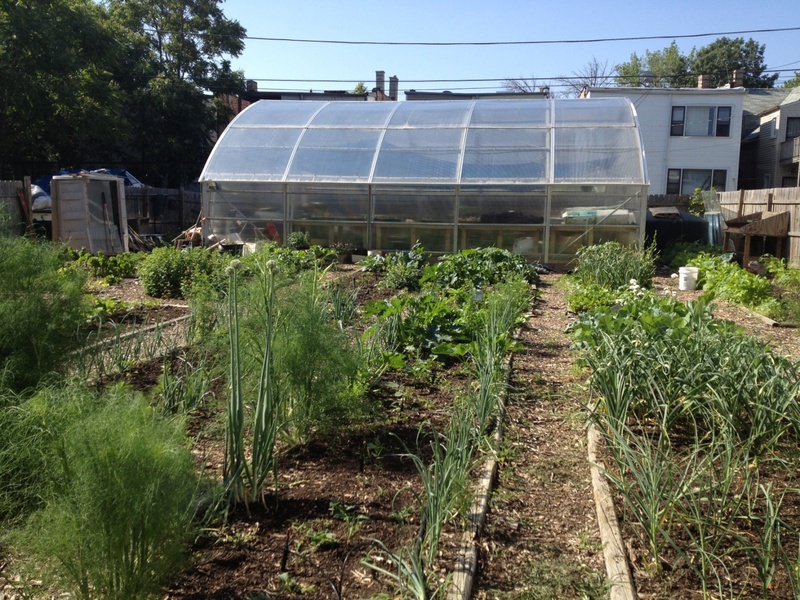 The vegetable garden is a great example of how different projects can work together and benefit each other. These varied approaches demonstrate how green infrastructure can be successful. There is no “one size fits all” solution for every community; contextual approaches that take community-specific issues into account work best. 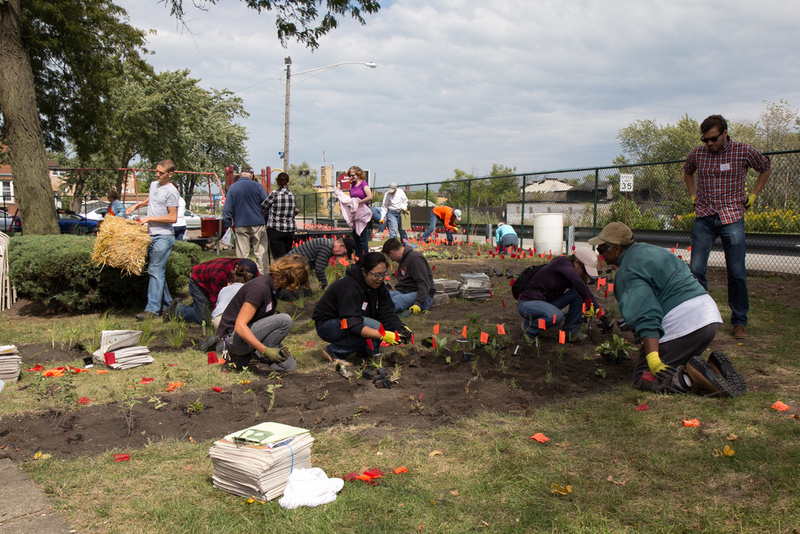 While these are just some of the green infrastructure projects in Chicago, they still highlight the many wider benefits of stormwater infrastructure, including placemaking, community building, habitat restoration and aesthetic improvement. MPC is hopeful that these success stories will encourage other people to realize the wide ranging benefits of green infrastructure and implement projects that can increase resilience to stormwater. Around the Great Lakes, it seems like we have more than enough water to go around. 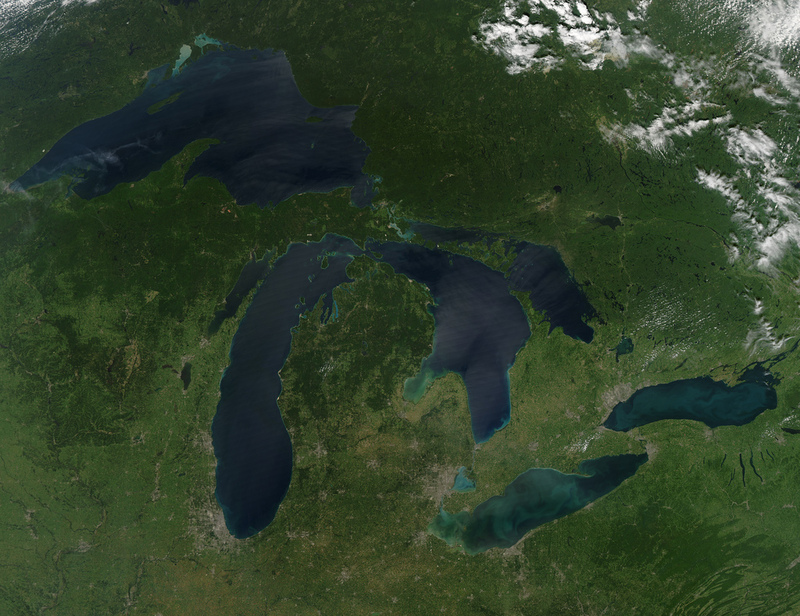 After all, the Great Lakes contain 21 percent of the world’s fresh surface water. However, this vital resource is slowly disappearing from right under our noses. Only 1 percent of the Great Lakes are renewed every year and climate change and evaporation have caused the water level in the Great Lakes to fall a total of roughly five feet in the last decade . At the third workshop of four in the DuPage Water Commission water management workshop series, I learned about practical indoor and outdoor water conservation methods we can use to ease the strain on our natural water supply. The DuPage Water Commission, Metropolitan Planning Council (MPC), Chicago Metropolitan Agency for Planning and MWH Global collaborated to host this workshop series, geared toward public works employees, to get ideas and advice on programs to implement in their municipalities. These workshops are an opportunity for MPC to get involved in DuPage County help public works employees in the region start thinking about water conservation. The first workshop focused on utility planning and asset management in the context of water management operations and the second focused on regulations and ordinances to aid water conservation in the DuPage Water Commission region. Jared Teutch, water policy advocate at the Alliance for Great Lakes, explained that the Great Lakes basin states, Illinois, Indiana, Michigan, Minnesota, New York, Ohio, Pennsylvania and Wisconsin, are lagging behind western states on our water conservation efforts. He said the biggest reduction in indoor water use could be achieved by mandating efficient appliances, which reduce water use by appliances by up to 50 percent! For outdoor water use, he explained that reducing lawn watering and improving infrastructure would produce the biggest impacts. 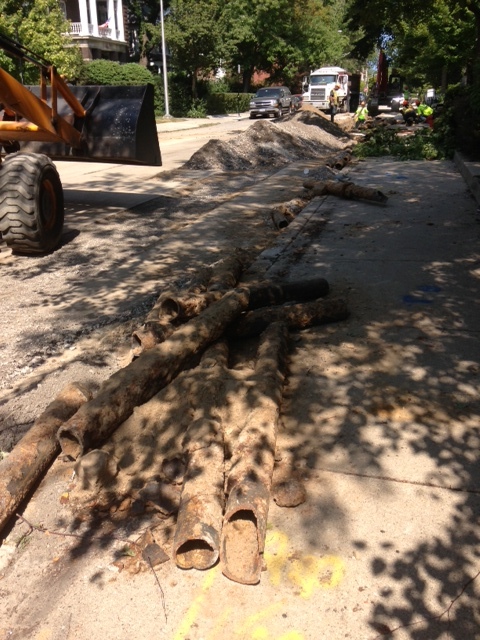 Improving infrastructure includes capturing runoff, replacing aging pipes and removing the term “wastewater” from the conversation. Wastewater is not actually waste and can be used in a number of non-potable ways. The reuse of this water can decrease the amount of water that needs to be transported to a building, saving energy and money for the utility and customer. When asked, none of the utilities present had any programs to target their biggest users, non-residential customers. Karl Johnson, Senior Water Resources Engineer at MWH Global, said that typically 30 percent of a utility’s demands are from non-residential customers but are only 10 percent of the total number of customers. This is a huge savings potential for both the utility and the customer. He suggested that the utilities research their biggest users and compare their usage to national benchmarks for their industry. Utilities can then perform an assessment of how customers are using water to identify and target specific areas. In restaurants, for example, the biggest savings come from using trigger-spray nozzles that require you to hold the sprayer, preventing water from constantly running. Targeting the biggest users can be easier than educating residential customers because you only need to reach a few people, instead of the entire customer base. With LEED certification and environmental consciousness becoming a popular marketing tool, many companies have an efficiency coordinator who could be a great source and contact for utilities. When a utility does decide to work with residential users, one of the best ways is through home water audits. Hillary Holmes, a civil engineer with MWH Global, said that home water audits only take about 20 minutes and show the homeowner what their current water use is, where they have water loss and how they can conserve. The process involves gathering information on household size, how the household uses water and when they use it most; performing the audit by cataloging water-using devices, calculating flow rates, noting existing and finding unknown leaks; and, analyzing the results and determining savings from conservation measures. Or, you can supply the information to the consumer who can enter it into an online calculator to get information on how they are doing and how to improve. As part of her presentation on residential use, Hillary did an interactive exercise examining how a water bill looks to a customer. 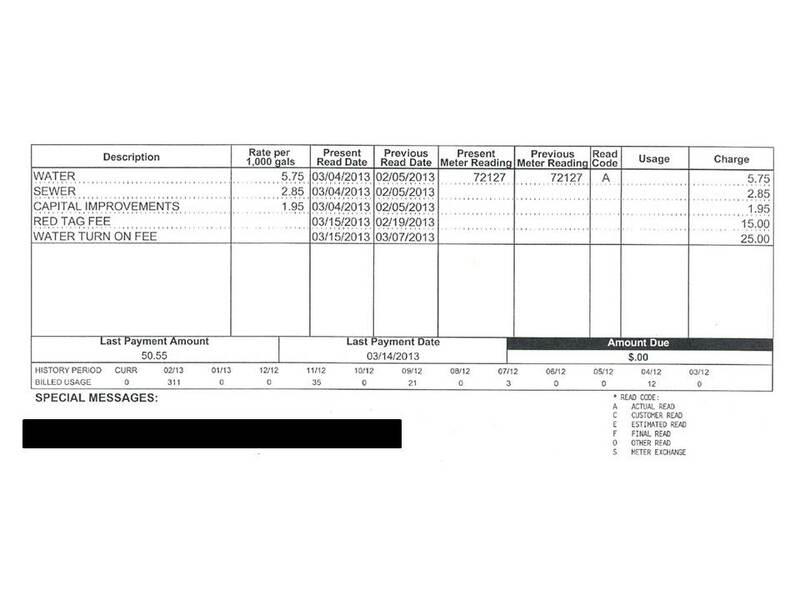 Things as simple as changing the units sold to gallons instead of cubic feet or providing a graph of the customer’s past usage can go a long way toward improving understanding of the bill and showing the customer where they can save. Another idea is to provide information on average usage in the community to encourage people to try to use less than their neighbors. Better explanations of fees and what the bill pays for would increase understanding and reduce hostilities toward paying the water bill. Hillary used this bill as an example. The units are in 1,000 gallons, which doesn’t mean much to the customer; it’s nice that the bill includes the read code and key at the bottom to explain where the number came from, but that doesn’t really mean anything to the average person either. The bill does separate fees for capital improvements, which provides transparency on where the money is going. The history at the bottom would be much clearer as a graph than as a line of numbers. Finally, Bill Christiansen, Program Planner with the Alliance for Water Efficiency, discussed their tracking tool for planning and evaluating cost-beneficial water conservation programs. Utilities can input information on their system, baseline demands, demographics and conservation measures into the tool and then model their savings, perform a cost-benefit analysis on various conservation programs, including revenue/rates impacts and energy savings. You can calculate the present value of delayed system expansions and play with different rates to make sure that when demand decreases rates rise enough to cover the utility’s costs. While some utilities are still skeptical about how they are going to cover their costs when conservation reduces demand, this tool can give them more information on what to expect when conservation measures are implemented and how to select the most cost-effective programs. The discussion of rates and how utilities can conserve without losing money will continue at the final workshop of the series on Wednesday, August 28th. The DuPage Water Commission Conservation Series’ last workshop is on water rates and revenue. The half-day workshops are free and open to all public works employees; count for 3.25 Renewal Training Credits through Illinois EPA. For more information, contact MPC Associate Abby Crisostomo. 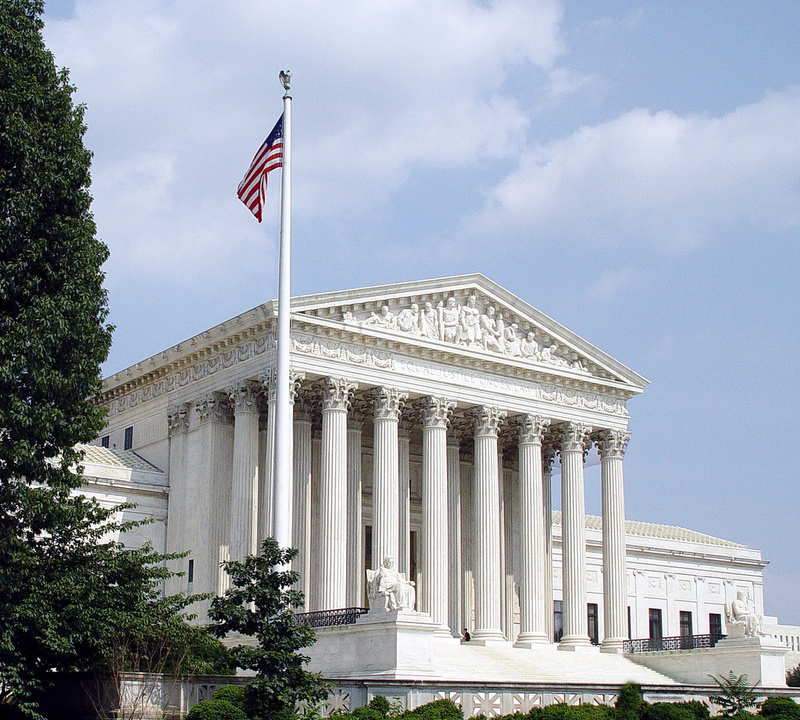 The Supreme Court recently ruled on several cases that could have a big impact on water resources. The justices agreed that Texas could not take water from the Oklahoma side of a shared river basin. But in a contentious debate over development rights, the Court split over whether it is unlawful to require a monetary payment in exchange for a wetlands development permit. Recently, a number of court cases about water resources have made the news. Oklahoma and Texas battled over a river; two Tribal Nations made territorial claims to water rights; and a Florida landowner chafed at restrictions on developing wetlands. Given Metropolitan Planning Council (MPC)’s water program work, these cases provide valuable lessons for our regional water supply planning and infrastructure financing strategies. Booming urban growth and drought conditions compelled a Texas water district to sue Oklahoma for water. Texas has tried to buy water in the past, but was stymied by Oklahoma state water laws that prohibit selling water out of state. Texas, Oklahoma, Arkansas and Louisiana are part of the Red River Compact, which allocates fixed amounts of water to each state. In Tarrant Regional Water District v. Herrmann (an Oklahoma Water Resource Board official), Texas argued they should be allowed to take unallocated excess water from Oklahoma’s side of the Red River Basin. The Supreme Court unanimously voted in favor of Oklahoma, holding that states have sovereignty over water located on and under their land, and the Red River Compact does not preempt Oklahoma’s state water statutes. Oklahoma is also involved in a water dispute with the Choctaw and Chickasaw Nations. The Nations have claimed sovereignty over surface water located on historically tribal territory. The court cases seek to determine what water rights are guaranteed to the tribes by federal treaty. Lawsuits are on hold while the governments work through negotiations. If negotiations fall through, the case could be in litigation for years. Koontz v. St. Johns River Water Management District focuses on wetlands, which are protected under the Clean Water Act because of their ability to filter out pollution from water and recharge groundwater reserves. Mr. Koontz wanted to develop his property—which includes protected wetlands—into a shopping mall. St. Johns asked Mr. Koontz to pay for wetlands restoration projects in another location, as one possible condition for issuing a development permit. Mr. Koontz refused, and St. Johns subsequently denied the permit. Mr. Koontz argued that the limitations placed on him by St. Johns constituted an unlawful “taking” of his property. A taking occurs when the government has seized private property without “just compensation.” This concept extends to overly burdensome land use restrictions. However, governments are allowed to issue land use restrictions if they are closely related to the impact on the surrounding community (“nexus”) and cost to the owner is in line with the impact on the area (“rough proportionality”). Mr. Koontz sued, and the case eventually reached the Supreme Court. The 5-4 ruling in favor of Mr. Koontz mandated that a taking could, in fact, apply to monetary payments in exchange for receiving a permit. The dissenting opinion argued that by extending the definition of takings to include monetary payments, numerous local permitting processes could be called into question. Justice Sonia Sotomayor noted, “I see an enormous flood gate here, and one in which we are sending a signal that perhaps States should be more quiet rather than more engaging,” because this ruling could encourage municipalities to reject development proposals outright, rather than risk a negotiation that could end in a lawsuit. As I’ve written before, Illinois’ Lake Michigan water rights were set by a 1967 Supreme Court ruling. The Great Lakes-St. Lawrence River Basin Water Resources Compact is a more recent development. Similar to the interstate agreement between Oklahoma and Texas, the Great Lakes-St. Lawrence Compact sets the terms for how Illinois, Indiana, Michigan, Minnesota, New York, Ohio, Pennsylvania and Wisconsin manage our watershed. The Great Lakes-St. Lawrence Sustainable Water Resources Agreement also includes Quebec and Ontario, Canada. Caption: The Great Lakes-St. Lawrence River Basin compact and agreement came into effect in 2008. The agreement binds eight U.S. states and two Canadian provinces to specific commitments about water conservation, efficiency and withdrawals. Although the Great Lakes-St. Lawrence Compact coordinates the sustainable use of water resources, it’s obvious from Tarrant v. Herrmann that interstate disputes can still arise. If demand for Lake Michigan water becomes too great, then communities could find themselves in court. 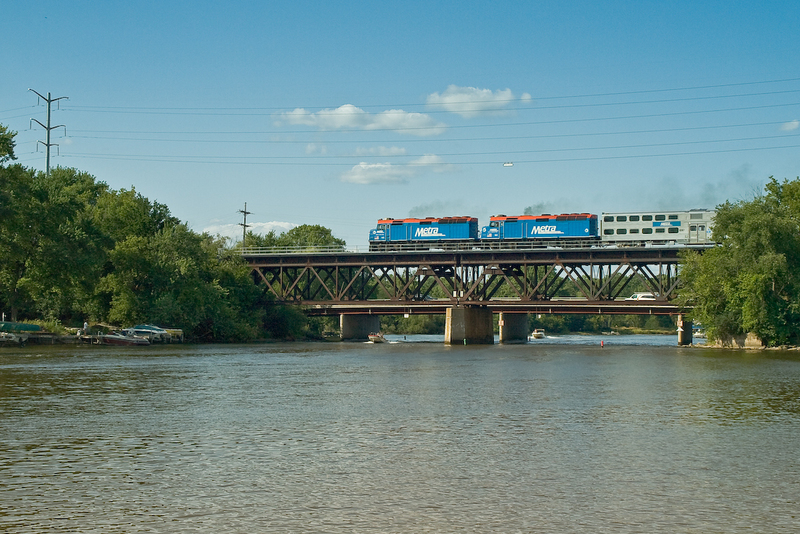 In fact, Waukesha, Wisconsin—located just outside the Great Lakes watershed—is drawing fire right now for its application to connect to Lake Michigan. The Compact provides a robust process for giving the other Great Lakes states an opportunity to weigh in on any decision to take water out of the basin, and the Supreme Court ruling on Tarrant v. Herrmann makes sticking to that process especially important. There are also plenty of Illinois communities that rely on streams and groundwater to supply their water. Illinois is governed by the Reasonable Use Rule, meaning that a landowner can withdraw any amount of water to meet their household needs, but they are limited to the “reasonable” amount for other needs (such as irrigation). Like Oklahoma and the Tribal Nations, our region may need to commit to negotiating our water supply in the future. The Illinois communities, industries and farms that rely on the shared use of rivers and groundwater will need smart growth planning and cooperation to ensure all water needs are met. Finally, the impact of Florida’s development permit ruling remains to be seen. Municipalities need effective ways to work flexibly with new development and finance not just aging water infrastructure, but other kinds of infrastructure as well. If local governments are afraid to negotiate development by requesting permit fees and payments, how will communities be able to promote environmentally sensitive development? MPC works on sustainable and collaborative use of our region’s water resources. Our work with the Northwest Water Planning Alliance (NWPA), an intergovernmental body that encompasses 80 communities and 1.3 million people, has fostered cooperative planning for groundwater and Fox River water users. 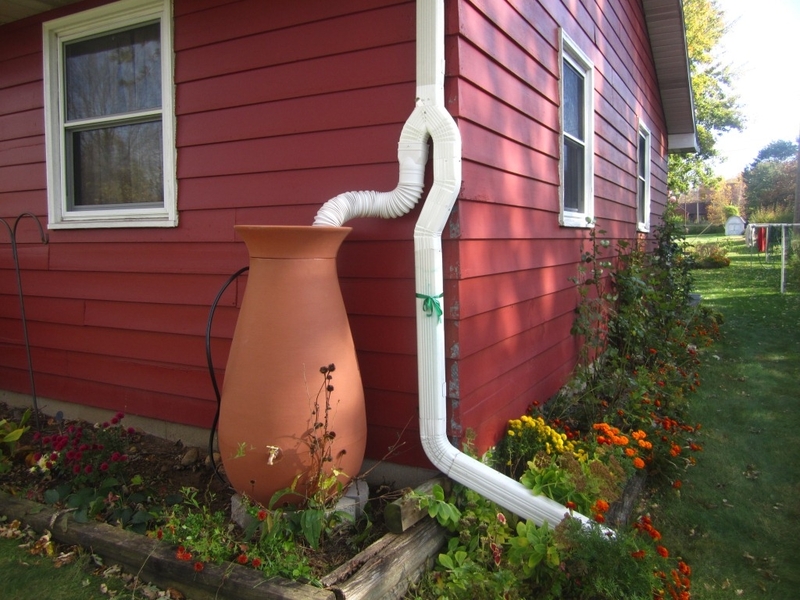 MPC is also advocating for a revision of the Illinois plumbing code that would allow rainwater, graywater and clear water, like air conditioner condensate, to be reused for non-potable purposes, so that treated drinking water is not wasted on non-drinking purposes. In order to more sustainably finance water supply, our region should have a more accurate accounting method for water lost through leaky infrastructure, as pointed out in MPC’s report, Immeasurable Loss. Read more about MPC’s work on cross-border collaboration, interjurisdictional collaboration, and water supply management. In 100 years—2113—the Chicago region is sure to be a dramatically different place. People, technology and even our changing climate will reinvent our city and region, perhaps several times over. Lake Michigan will be among the few constants. Yet even “our” Great Lake will undergo shifts. Skidmore, Owings & Merrill’s (SOM) Great Lakes Century initiative calls for a comprehensive 100-year vision for the Great Lakes region. Metropolitan Planning Council (MPC) jumped at the opportunity to contribute by submitting our own ideas for what Chicago and the Great Lakes should look like in 100 years to SOM’s Great Lakes, Great People series. We were so inspired by the series that we decided to dedicate this edition of What Our Water’s Worth—our own effort to raise awareness of the value of water in Chicagoland—to feature five video interviews we conducted with MPC Associate Abby Crisostomo and several of our partners about their grand visions for the next century of the Great Lakes region. Abby emphasized the need to connect natural, built and social assets by improving coordination between local, regional, state and federal governments; as well as the public and private sectors in order for the city to reach its full potential. Both Katie Larson from the Alliance for the Great Lakes and Bill Schleizer from the Delta Institute want to see a vibrant Chicago that values all of our resources, including clean water. Water is vital to countless industries and manufactures, without which the entire economy of Chicago would crumble. Preserving our resources requires not just work on our water systems, but ensuring that we are using the cleanest technologies possible to reduce pollution in transportation and manufacturing. Kindy Kruller from the Forest Preserve District of Cook County wants to see a Chicago with active waterways being used for recreation including swimming, paddling and fishing. This will require good access and public transportation to the waterways, as well as preserving the water so it is clean enough to use. Matt Tirrell from the Institute for Molecular Engineering at the University of Chicago is working on improving water purification techniques to preserve our drinking water from man-made contaminants. This will involve the help of engineers, scientists and planners to find the techniques that are best for the city. These interviews give a short snapshot of what Chicago could look like in 100 years if we start preserving our resources in every sector today. What is your vision for the Great Lakes and the Chicago region in 100 years? Visit the Great Lakes Century blog to see what other members of the community have said and to make your own contribution to the project! The five lakes together cover about 95,000 square miles of surface area, roughly the equivalent to the area of New York. Over 42 million people rely on the Great Lakes for drinking water. If the Great Lakes region was a nation, its GDP would be the fourth largest in the world. 90% of the U.S. iron ore is produced in the Great Lakes region and 58% of automobiles in the U.S. and Canada are produced in the region. Regulations and Ordinances: A Nuisance or Vital Conservation Tool? 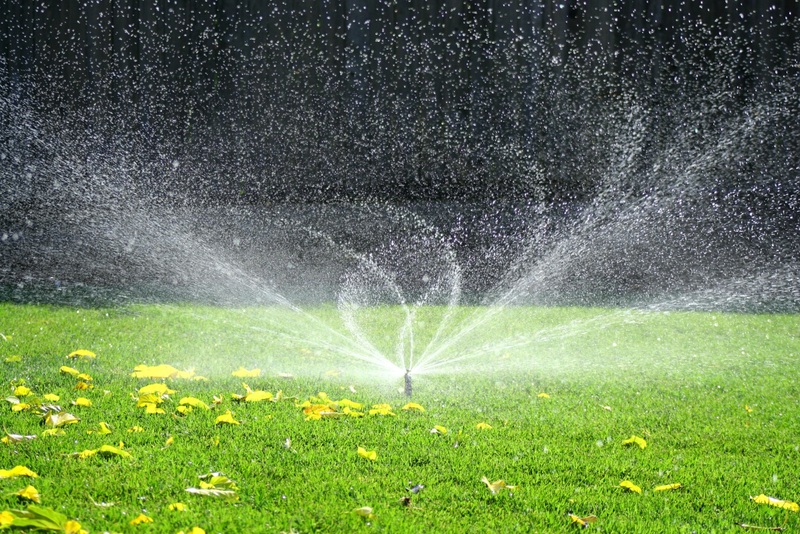 Many people don’t give much thought to the regulations and ordinances that govern their water use. The largest impact they see is that they can probably only water their lawn on certain days. However, there is a lot of thought that goes into those regulations, as I learned at the second workshop of four in the DuPage Water Commission workshop series on conservation. The DuPage Water Commission, Metropolitan Planning Council (MPC), Chicago Metropolitan Agency for Planning and MWH Global all collaborated to host this workshop series, geared toward public works employees to get ideas and advice on programs to implement in their municipalities. If we asked you if you wanted to take steps to improve water conservation, you would probably say yes. But if we asked you how you should do that, you might have a much harder time answering. MPC Associate Abby Crisostomo explained that while people like the idea of water conservation, they are unlikely to pursue it on their own without guidance and consistency. The purpose of regulations and ordinances is to show people how to most effectively conserve water. But who is going to read the massive book of ordinances at town hall? Bill Balling of WRB, LLC highlighted the fact that municipalities have too many ordinances and don’t have the time or money to enforce them. Bill has experienced this as the Village Manager for Buffalo Grove, Illinois and now as a consultant for municipalities on policy and water management. He stressed that municipalities should simplify and prioritize their ordinances. New methods of water conservation that are increasingly more popular are graywater and rainwater reuse systems. Rainwater reuse systems are integrated into a building’s plumbing to capture waste water (usually rainwater from the roof), filter it to be suitable for use in toilets and showers, circulate the water through the building for those uses, then send the waste to the traditional wastewater treatment system. Graywater systems reuse water that was previously used in sinks or showers by filtering and sending it back through the system for toilet flushing and cooling. We learned from John Bauer of Wahaso, a company that builds these systems, that they are valuable because you don’t need to use valuable drinking water for these purposes and instead you can use recycled water that would otherwise just runoff into the stormwater or wastewater systems. In a region like ours where stormwater systems commonly overflow during large rain storms, the diversion of rainwater is incredibly valuable. If these systems are so great, why don’t we see more of them? Right now in Illinois, you need to get a special variance to build them. We learned from MPC Program Director Josh Ellis that the Illinois Plumbing Code doesn’t mention anything about graywater or rainwater harvesting and therefore municipalities are not able to create their own regulations. Once the code provides for graywater and rainwater harvesting systems, municipalities will be free to use—or improve upon—those guidelines. 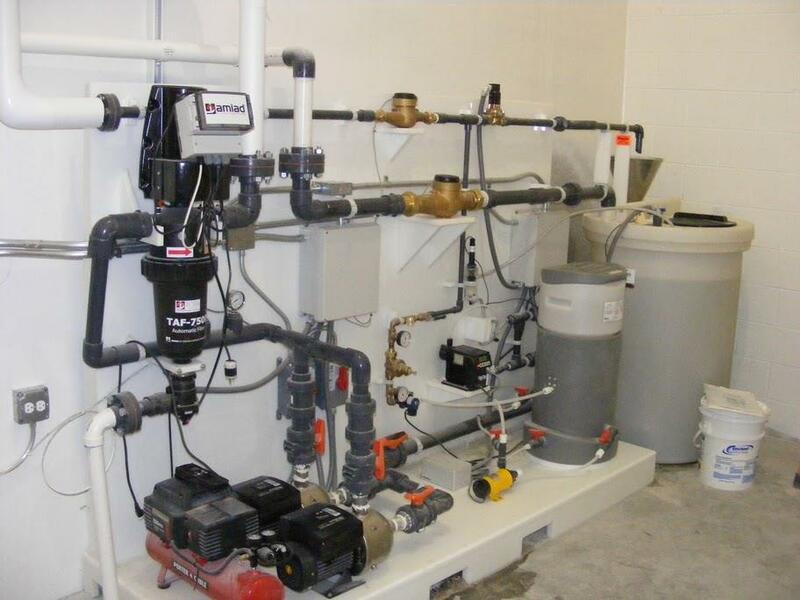 MPC is currently working with the Plumbing Code Advisory Council and the Illinois Department of Public Health to streamline this rewrite process to improve water efficiency, reduce waste and enable re-use of non-potable water where appropriate. New regulations are currently out for public comment in the April 26 issue of the Illinois Register. Another major piece of regulation being debated right now in the region is the Lake Michigan water loss permit system. The state of Illinois is only allowed to take a certain amount of water out of the lake partly due to the reversal of the Chicago River in 1900. This means that the state needs to account for all of the water it takes, including water that is lost through leaky pipes. Josh explained that right now, the Illinois Department of Natural Resources requires municipalities to report all of their water extraction and loss to ensure they are within the cap. Municipalities are allowed an 8 percent unavoidable loss in the system. However, this 8 percent is fairly arbitrary and MPC believes a more nuanced way to measure performance of a utility is necessary to find the most cost-effective way to conserve water. I thought that some of the most interesting discussion came when a few people in attendance asked about how to balance conservation and revenue. Water demand is currently decreasing in Illinois so many utilities are having trouble covering their costs. Bill Balling advocated for full cost pricing of water. He pushed for a hybrid fixed cost/variable-cost system that charges a fixed, constant price to cover long-run costs and a variable price that is based on how much the customer uses to pay for short-run costs. This allows the utility to cover fixed costs, even if the customer is carrying out conservation measures and pays very little through the variable part of the bill. The City of Aurora has had success with this type of system because it has allowed them to offset the rising population with the conservation efforts, delaying the need for a multi-million dollar expansion to increase capacity. We will be covering the topic of water rates and revenue further at the final workshop of the series on Wednesday, August 28. There will be two more workshops this summer focusing on indoor and outdoor water use and water rates and revenue. The half-day workshops are free and open to all public works employees, and count for 3.25 Renewal Training Credits through Illinois EPA. For more information, contact MPC Associate Abby Crisostomo. Be a fan of WOWW on Facebook!